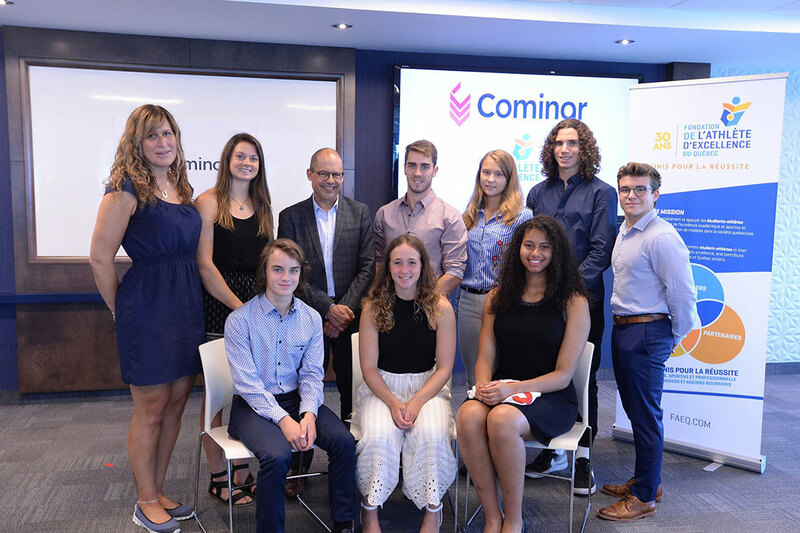 Sylvain Cossette, President and CEO of Cominar, revealed on September 6 the names of the 11 student athletes that are part of the 4th edition of the Cominar Scholarship Program within the Fondation de l'athlète d'excellence du Québec (FAEQ), and who shared $ 40 000 in individual scholarships. "It is with great joy that Cominar joins the Fondation de l’athlète d’excellence in order to highlight academic and sports excellence in Quebec for a fourth consecutive year, stated M. Cossette. The success of student athletes is always inspiring for Cominar employees and we are very proud to support 11 of them today."